Per a study conducted using the Sainsburys Living Well Index, Colorado is the third happiest state in the United States. This should not come as a surprise, but Colorado is a great place to live. There's something for everyone to do in the state thanks to a wide-ranging array of activities. The economy is thriving as the population continues to increase and more businesses choose Denver for their office location. Denver offers plenty of options for the more city-centric people. There are concerts all summer long at Mile High Stadium or Red Rocks Amphitheatre and beer festivals nearly every weekend across Colorado. The city also features well-maintained parks and every professional sports team. But, it doesn't take a long trip to find yourself fully immersed in the Rocky Mountains. 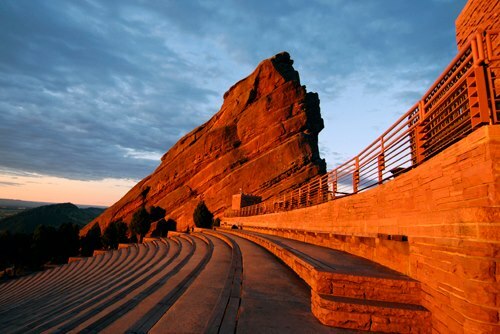 Colorado features some of the best places to go hiking, fishing, hunting, and boating. Not to mention, who doesn't love to conquer a 14er? However, there are more factors involved in the study than just lifestyle and health. This study was conducted using the Sainsburys Living Well Index, which had six main factors -- Social Connections, Finances, Relationships, Health, Lifestyle, and Environment. The website also features scoring done on generations, and you can even take a quiz for your own personal life Living Well Score. Additionally, there are archives of historical data compiled by Sainsburys. The survey results are generated using this large pool of knowledge that has been gathered. Magnify Money conducted the entire study and you can read more about it here. It's very interesting to find that most of the happiest states are on the west side of the United States, while a majority the lower ranked states can be found in the South and East Coast. Colorado was ranked third, with high scoring in the Health (2nd), Lifestyle (4th), and Economic Stability (13th) rankings. The economic stability ranking will continue to improve as more businesses are set up in Denver. According to a report from Metro Denver, the population is expected to continue to grow at a rate of 1.6 percent annually, all the way until 2025. The only states to finish with a better rating than Colorado were Minnesota (No. 1) and South Dakota (No. 2). Louisiana was the least happiest state, ranking 50th in Lifestyle and Economic Stability. I spent my entire childhood moving around as a part of a military family. My travels include living in 10 different states up to this point, but I can't name a better state to live in than Colorado. It's truly hard to live an inactive lifestyle in Denver -- the sun is always out and there are parks everywhere, and even when the snow eventually makes an appearance, people just head to the mountains for skiing and snowboarding. What are your thoughts on the survey? Do you feel the state happiness levels are accurate? Let us know in the comments below. Salida, Colorado was ranked as one of the best top 20 small towns to visit in 2018!